Resources are essential for quality early childhood development environments and programmes. A shared understanding of what these basic levels of resources are, will ensure that all ECD centres are able to provide adequate environments that support all areas of children’s development. 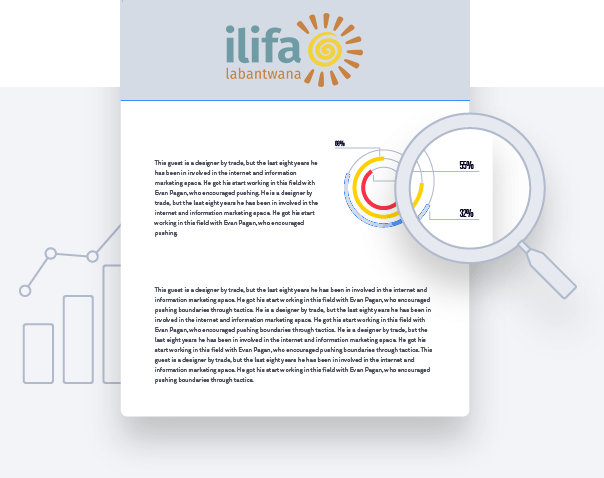 This toolkit was developed through Ilifa’s centre enrichment programme, with Ntataise and the Department of Social Development, in North West province, between 2012 to 2015. It is a guideline of recommended basic and additional resources. In addition to the guidelines, a number of checklists have been produced to help identify basic resources needed for children under 36 months and children aged four to five years.